Jalapenos (Capsicum annuum) are among the most well-known and popular chillies in Mexico and Texas and are mainly cultivated there. They are named after the town Xalapa in the region of Veracruz in Mexico. The chili peppers have a medium heat level of 5.000 to 10.000 Scovilles. 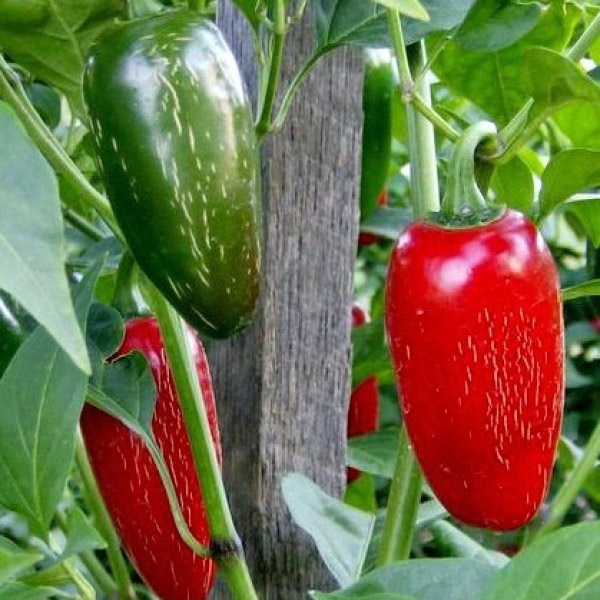 When Jalapenos have ripened to red, their flavour takes on a pleasant sweetness. They are a versatile ingedient of the Mexican and US American cuisine. They harmonise particularly well with tomatoes and melted cheese, so are suitable for gratin dishes.